Well, another study, that included over 3 million patients, provides us with more robust evidence that the HPV cancer preventing vaccine is demonstrably safe. A recent study, published in the Journal of Internal Medicine by Hviid et al., examined the risk of autoimmune diseases and neurological disorders in 3,126,790 women, comparing those who received the HPV cancer preventing vaccine and those who did not. The researchers, who used Danish and Swedish hospital data to track the incidence of 44 different illnesses over 10 years, found no “serious safety concerns” for women who had received the HPV vaccine to prevent future cancers. Diseases or conditions studied in the new analysis included epilepsy, paralysis, lupus, psoriasis, type 1 diabetes, rheumatoid arthritis, thyroid issues and Crohn’s disease, and many others. Some of these autoimmune and neurological conditions are part of the tropes that the anti-vaccine world has made about Gardasil and other HPV vaccines’ adverse effects. To be completely open, the study found slightly higher risks for celiac disease, an autoimmune disease that afflicts the small intestine, amongst women who received the HPV vaccine. Curiously, this observation was only seen in Denmark. The authors explained that celiac disease is “markedly under diagnosed” in Denmark, so those who get vaccinated, thereby visiting a healthcare professional, may have a better opportunity of being diagnosed. Since a genetic predisposition to celiac disease must be present, it is biologically implausible that the HPV vaccine is related to the condition. In the graphic above, you can see 44 different autoimmune and neurological conditions examined by the study. This is a crude incidence rate, and does not give us any statistical significance, but a brief examination shows us that the difference between the vaccinated and unvaccinated population for these conditions is small. And in many cases, the unvaccinated population has a higher (though not statistically important) incidence. Another important point to be made – this is the ethical way to compare a vaccinated and unvaccinated population. It is completely unethical, and would never be approved by an institutional review board, to perform a double blind study that would intentionally allow the placebo group to be exposed to these diseases. This type of observational study, a cohort study, allows the researchers to compare a vaccinated vs. unvaccinated population ethically. Unmasking of conditions at vaccination visits is a plausible explanation for the increased risk associated with qHPV in this study because coeliac disease is underdiagnosed in Scandinavian populations. In conclusion, our study of serious adverse event rates in qHPV-vaccinated and qHPV-unvaccinated adult women 18-44 years of age did not raise any safety issues of concern. Here is another huge study, which included over 3 million women, that show us that there are no additional risks for autoimmune or neurological disorders after receiving the HPV cancer preventing vaccine, Gardasil. None. This study adds to the body of evidence that refute the various claims made by the anti-vaccine world about the HPV vaccine. Parents need to vaccinate their children with this vaccine. And if you’re a young adult, you should march yourself down to your physician and get it for yourself. The vaccine prevents cancer. There are precious few ways to prevent cancer, but this is one of your best choices. Hviid A, Svanström H, Scheller NM, Grönlund O, Pasternak B, Arnheim-Dahlström L. Human papillomavirus vaccination of adult women and risk of autoimmune and neurological diseases. J Intern Med. 2017 Oct 18. doi: 10.1111/joim.12694. [Epub ahead of print] PubMed PMID: 29044769. 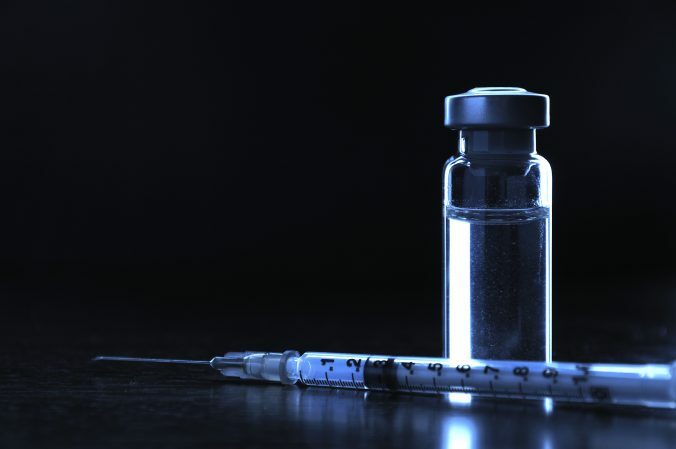 Previous PostPrevious Ginger Taylor writes a letter about vaccines – this will be interesting.